Fraga Farmstead Creamery produces certified organic goat cheeses ranging from aged raw milk cheese to creamy chèvre. Owners Jan and Larry Neilson were the first in Oregon to start a creamery certified through Oregon Tilth. Now in its second generation, the “Fraga Group" raises its goats in a holistic cycle: farmers nurture grass, which nurtures goats, who produce delicious milk for all sorts of cheeses. Best buys: Goatzarella, perfect for slicing and melting; Rio Santiam, a natural rind raw cheese with complex flavor reminiscent of aged cheddar. 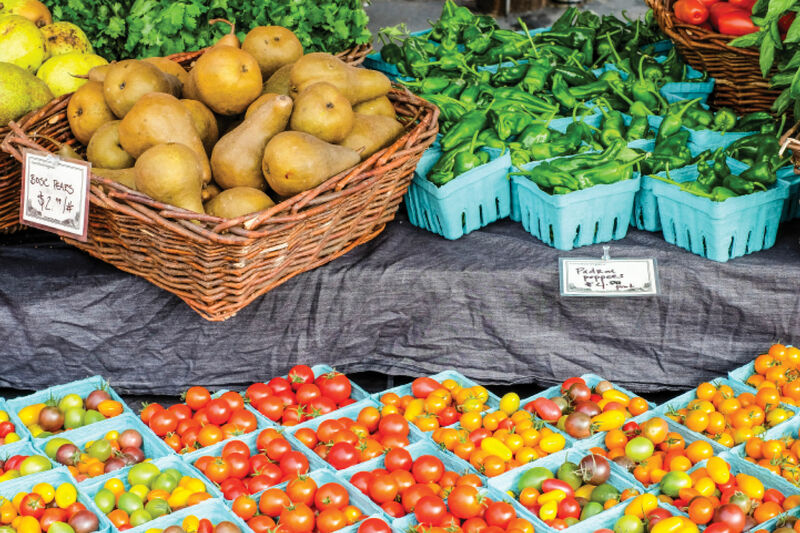 Where to find: PSU Farmers Market, People's Coop. Good Food Awards winner Goldin Artisan Goat Cheese creates offerings inspired by cheesemaker Carin Goldin’s childhood in France’s Savoie region and influenced by the Pacific Northwest’s soil and climate. Located near Molalla in the eastern Willamette Valley, the Fromagerie has been producing outstanding cheeses from a happy Alpine herd since 2004. Best buys: Tomme de Sawtell, an aged tomme that hints at mushroom flavors and makes a meal with rustic bread or fruit. Winner of 2012’s Good Food Awards, the Certoux is another great choice—with a semi-soft interior and complex aged rind, it tastes rich and pleasantly tangy. 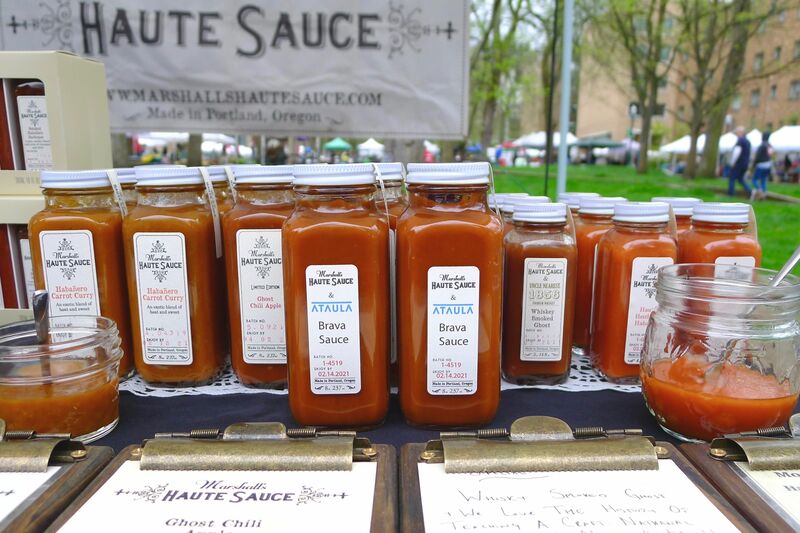 Where to find: PSU, Shemanski, and Lake Oswego Farmers Markets and various local retailers. Liz Alvis began Portland Creamery in October 2011, offering award-winning cheeses in seasonal flavors and creative combinations. Made with single-origin goat milk, the smooth, fresh chèvre comes in flavors fitting to any taste, including Oregon Chèvre, Herbes de Provence and Sweet Fire. Best buys: Lemon Blueberry spread (when in season) to spread all over breakfast bagels. The Oregon Chèvre is possibly more versatile; eat with Portland Creamery’s goats milk cajeta for a sweet experience, or mix into pasta sauces for a light but creamy treat. Where to find: Check out an extensive list of farmers markets and retailers online. Alsea Acre Alpines is nestled in a valley of Oregon’s Coast Range, the perfect spot for producing European-style cheeses. In 1990, cheesemaker Nancy Chandler’s son acquired two American Alpine goats named Rhyme and Reason; a herd soon grew, along with the idea of a dairy. Best buys: Party in a Jar: smooth chèvre marinated in olive oil and flavored with basil, Kalamata olives, sundried tomatoes, pine nuts, black pepper, roasted red peppers and rosemary. Also try the Fromage Blanc, a fresh, melt-in-your-mouth goat cheese that lingers on the tongue with a nutty, slightly lemony taste. 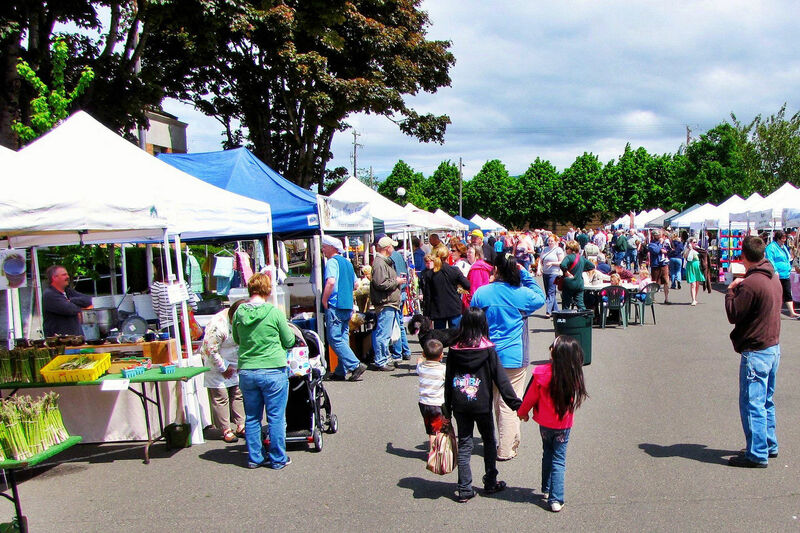 Where to find: PSU Farmers Market, King Farmers Market. Jacob’s Creamery, owned by Lisa Jacobs, offers samples of several cheeses at PSU’s massive Saturday market, and we recommend every last one. Jacobs immigrated to America from Dublin, Ireland, and found her passion in farming, cooking and reading; it was the latter that inspired Jacobs to first study cheesemaking and then to bravely open her own creamery. Best buys: Bloomy, a cheese of soft, buttery interiors and mushroom hints at the finish, and the supple gouda, which has notes of butterscotch. The seasonal pepper jack is another option for those hoping to turn up the heat, with jalapenos, chipotle peppers, cayenne and chili flakes marbling a nutty jack base. Where to find: PSU Farmers Market. Nestled in the hills of the Willamette Valley wine country, Briar Rose Creamery expertly handcrafts both goat’s and cow’s milk cheeses. Proprietor Sarah Marcus, who opened the shop in 2010, showcases her cheese-making expertise through award-winning products. Briar Rose also works with Tideland Dairy Goats from R&R Dairy, award-wining goat dairy that never uses growth hormones and, most importantly, raises happy, healthy goats. All the better for our wanting palates! Best buys: Chocolate goat cheese truffles: the combination of dark chocolate and rich, slightly tangy chèvre is better than any cheesecake you have ever tasted. For a unique aged cheese, try Lorelei, a goat’s milk cheese rind-washed with beer from Fire Mountain Brew House. For fresh cheese, opt for the garlic-herb or rosemary & peppercorn chèvre on crackers with (fig) jam. Where to find: Woodstock Farmers Market, Food Front Coop. Ancient Heritage Dairy delivers pasture to plate in the form of artisan cheese made from sheep milk. As the company name suggests, Ancient Heritage uses methods of production respectful to Old-World traditions. The dairy has won awards nationwide and has seduced Portland’s locals with the taste of nutty, creamy sheep’s milk cheeses. 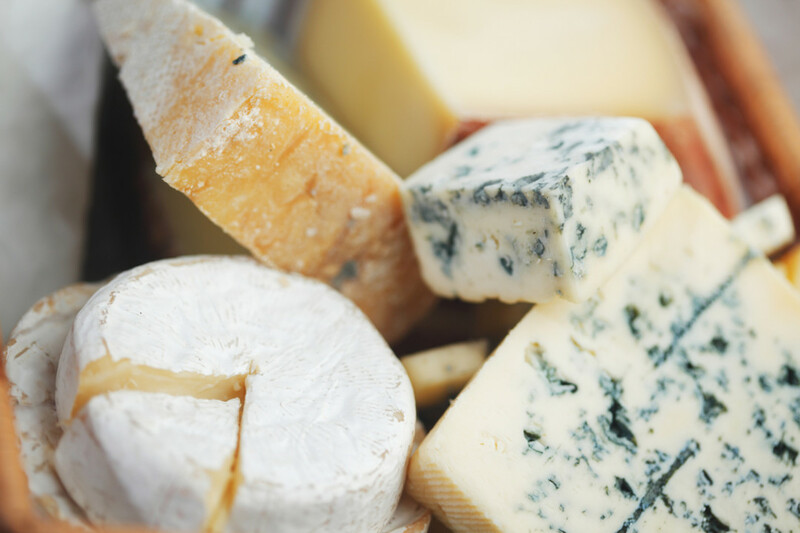 Best buys: Hannah, a wheel in which cheddar meets parmesan; Adelle, an herby, extremely soft sheep’s and cow’s milk cheese; and Isabella, the dairy’s funky newcomer tapping into Italian tradition with a gooey washed-rind. 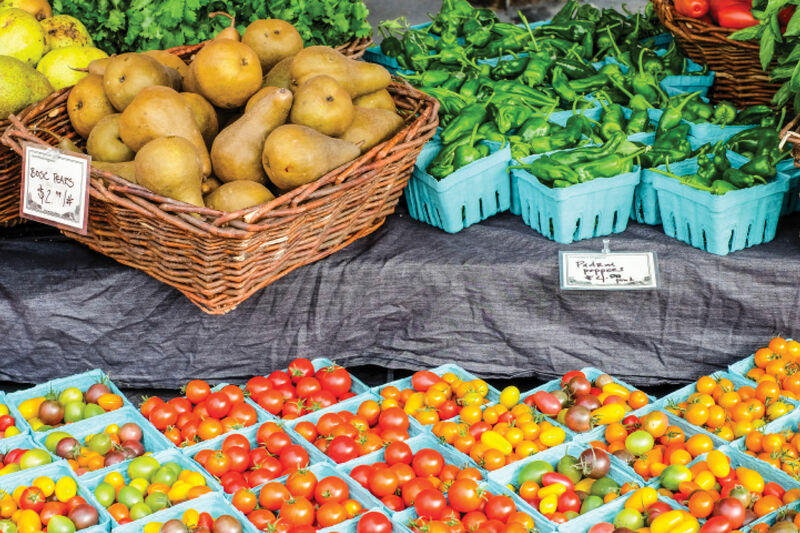 Where to find: PSU Farmers Market and a long list of retailers. Salem's Willamette Valley Cheese produces handmade, farmstead cow's milk cheeses. Goudas, Havarties, Jacks, Cheddars, Bries and Fontinas are just part of the wide selection. All have high fat contents and buttery smooth textures, and pair well with hearty reds and crisp whites. Best buys: With so many choices up for eating, start with specials like the new asiago style or French Prairie. Goudas are great and come in flavors like cumin aged, pinot crush and smoked farmstead. Where to find: An extensive array of local farmers markets and retailers.